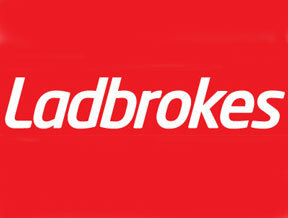 Ladbrokes is one of the leading betting institutions in the UK, renowned for their sports betting and poker. They also run a superb online casino. Ladbrokes Casino welcomes all players, whether novice casino players or veterans, with offers for everyone. An online casino containing over 500 games, there’s something for all players to enjoy. As a company, Ladbrokes originated in 1886 leading to their name being synonymous with betting and gaming. With a combined total of over 2,800 high street shops across the UK, Ladbrokes launched their online casino back in 2000 as part of the Ladbrokes brand, profiting from the rapid rise in popularity of online casinos. The casino has gone from strength to strength, leading to a migration in early 2014 to use industry leading software provider Playtech to create their iPoker and Live Dealer services. Ladbrokes Casino features over 300 game titles, including traditional table games with variations of Blackjack, Poker and Roulette. These traditional games are also all available in Live Dealer mode. Slots and progressive jackpot games are also available with prizes of over a million, featuring a variation of titles including Marvel hero slots, Gladiator and Foxy Fortunes. It is advised to take advantage of the downloadable software with a wider range of games available there, in addition to 5 new games, added monthly. Industry leader Playtech is responsible for the software features and graphics on Ladbrokes Casino, meaning no compromises are made in terms of quality. Ladbrokes Casino contains a flash version for immediate play for free use with no registration required, in addition to the downloadable software available. Players can also enjoy the action via mobile and tablet devices, supporting play in many languages. The casino offers regular ongoing promotions, including free spins, bonuses and cashback. Players can also earn complimentary points when they play at the casino, which can be later accumulated and transferred into cash. A VIP program is also present, with VIP only events and exclusive bonuses on offer. Ladbrokes Casino offers a wide range of payment methods for players, including Visa, MasterCard, Paypal and NETELLER. Players are also provided with minimum deposit options and safe and speedy secure withdrawals. Assistance is always on hand at Ladbrokes casino. A Customer Support team is available 24/7 via email, telephone or live chat. An FAQ section is also available for concerns regarding payment and game rules.